The elegant and easy Japanese craft of Kimekomi - making fabric ornaments. 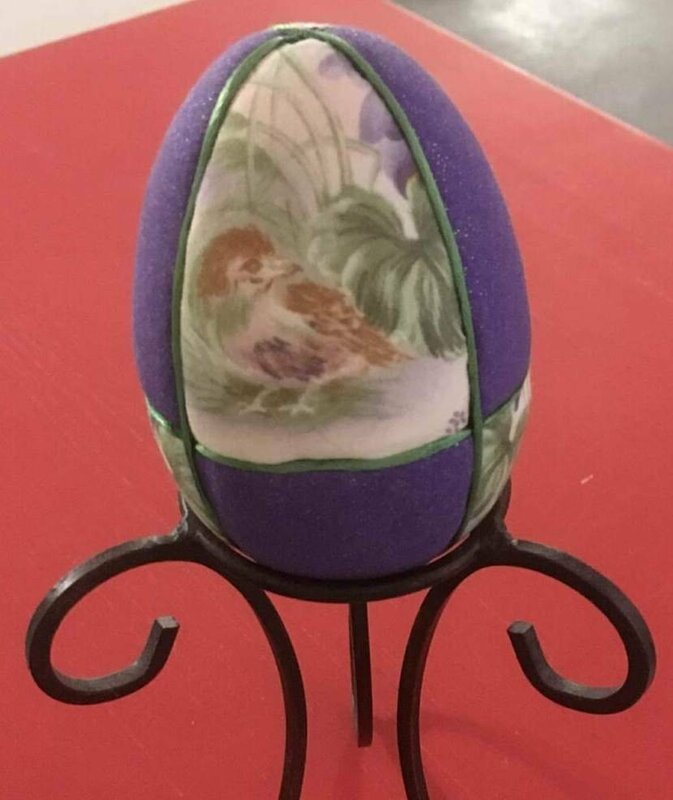 These make wonderful gifts and great decorations for your Easter Basket. Plus they’re fun to make. Be careful though, everyone you know will want more than one! Space is limited, come by the store or call 850-689-3655 OR 850-682-6920 to REGISTER! CLICK HERE TO DOWNLOAD YOUR SUPPLY LIST! This is a long class, you should bring your lunch/snacks. It seems like I've been sewing all my life. I love it. I didn't start quilting until until my early thirties. I have only recently made a quilt for myself. I've always made them for others. I love seeing the happiness in their eyes when they see their quilt for the first time. It gives me great joy. Now I'm loving all the different things I can make with my embroidery machines. So many choices. Not enough hours in the day. It's not unusual for me to have the long arm machine running, the embroidery machine stitching and me piecing a quilt on my little Janome. I love to create.